The story of an extraordinary publisher, one of a kind in the whole communist publishing spectrum, Il Calendario del Popolo, one of the oldest Italian culture magazines, born in March 1945 and published without interruption until present day. 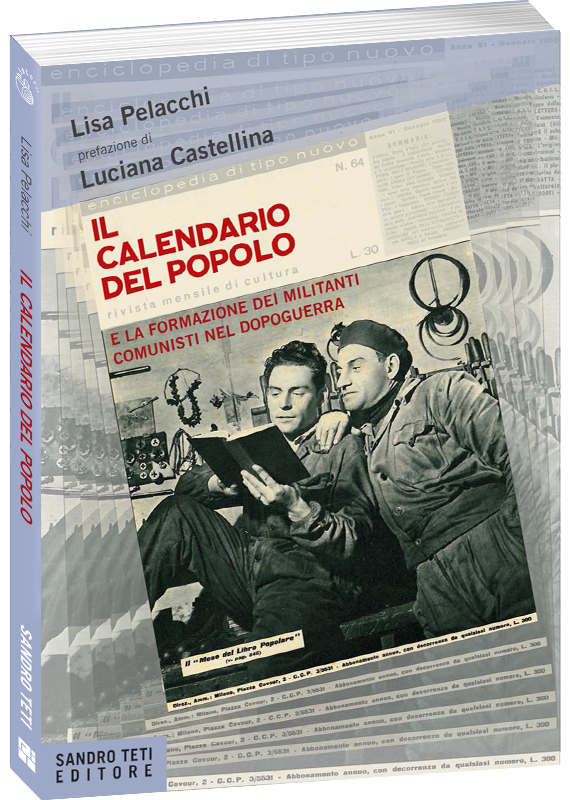 THE BOOK: With its extraordinary publishing commitment in the immediate postwar years, Il Calendario del Popolo contributed significantly to the education of the masses and communist cadres in Italy. The historical culture magazine, founded in March 1945, while Northern Italy was still occupied by Nazi-fascism, was instrumental in bringing literacy to the militants and disseminating knowledge to a still largely illiterate population. The detailed analysis of the first years of the magazine in the Italian landscape, highlights its role in the enormous effort of acculturation made by the Italian Communist Party. An effort, which also gives us the image of a century in which politics were considered transformation of the self. THE AUTHOR: Lisa Pelacchi (Caserta 1978). She graduated in Educational sciences at the University of Florence. After graduating, she studied the subject by performing extensive research, including that which led her to write the book on The People’s Calendar. She now works for the Region of Tuscany. Preface by: Luciana Castellina (Rome 1929). Journalist, writer, political activist. In 1947 she joined the Communist Party until 1969. She was member of the italian Parliament and in 1979 she was elected to the European Parliament. Her activity as writer and essayist took her to the finals of the Premio Strega with her successful book La Scoperta del Mondo (2011). She is currently president of Arci Nazionale.